To mark St George’s Day we take a look at our sources relating to the Oxford and St George’s Club which form part of the MS 132 Henriques papers. The Oxford and St George’s Club, was a Jewish youth and community centre formed by Sir Basil Henriques in the East End of London, with the aim of providing a service for local Jews of all ages. Son of David Quizano and Agnes C. Henriques, Sir Basil Lucas Henriques, CBE, was born on 17 October 1890 in London. After completing secondary school education at Harrow, he went on to study at Oxford University, where he built his interest in philanthropy from learning about the activities of Christian groups in addressing poverty in the East End. During the beginnings of the 20th century, there was a high population of Jews in the East End of London. Living conditions were of a low standard, with crowded families living in poor quality housing without a bath or inside toilet. After working at Toynbee Hall in 1913, which was an institution that provided legal advice and English lessons to the underprivileged, Basil decided to create a similar institution that would provide organised activities for young Jewish boys. Based in a disused hostel on 125 Cannon Street Road, the Oxford and St George’s Club began in 1914 with a membership of 25 boys. The Club got its name from Basil’s alma mata, and the name of the area of East London that the Club was based in. A year later, a self-taught artist and Basil’s future wife, Rose Loewe, founded an equivalent club for girls at the same hostel. As well as being social, the Clubs provided educational activities such as religion classes, and taught sports, ballet, acting, physical education, and first aid. In doing this the Clubs prepared children for pursuing careers. Activities also included the Annual Summer Camps, where several Jewish children were taken for a holiday, which were often held at Highdown near Goring by Sea. “For hundreds of Settlement children, the summer time is the happy time of Camp” (from a draft of a proposed Settlement letter written by Harold F. Reinhart, MS 132 AJ220/3/5 folder 4). Through the generosity of Viscount Bearsted, adjoining houses were acquired in Betts Street after the war was over. Old Boys Clubs and Girls Clubs were started, along with Scouts, Cubs and a Synagogue founded between 1919 and 1926. In 1929 the Clubs moved to new premises in Berners Street following the gift of £50,000 (which later rose to £65,000) provided by Mr Bernard Baron. The Bernhard Baron St George’s Settlement building opened in 1930, providing spaces for public worship, administrative offices, the infant welfare centre, the play centre, and accommodation. There was also a roller skating rink, gymnasium, library, and model laundry and kitchen. The Henriques papers provide a wealth of information on the Oxford and St George’s Club and its development through time. Documents include correspondence, pamphlets, reports and an extensive collection of photographs. After Basil Henrique’s death in 1961, Berner Street was renamed Henriques Street to commemorate his tireless efforts in setting up the Club. The Settlement premises were sold in 1973 and the clubs moved to Totteridge in North London. Due to decline in membership, the activities of the Settlement have ceased and it is now a grant making organisation. Today would have been Charlie Chaplin’s 129th birthday. While best remembered as a slapstick comic actor from the era of silent film, he actually wrote, produced and directed most of the productions in which he starred. He is pictured with Louis and Edwina Mountbatten who were visiting Hollywood as part of their honeymoon in 1922. Out of his trademark make up, he is almost unrecognisable. While the Mountbattens were in Hollywood, Chaplin made a short film: Nice and Friendly (1922) as a wedding gift. 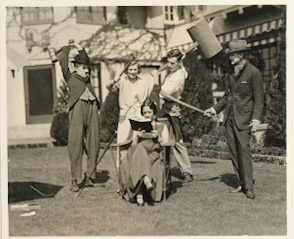 Both Edwina and Louis star alongside Jackie Coogan; Lieutenant Frederick Neilson, British Embassy in Washington, DC, and ADC to Lieutenant Lord Louis Mountbatten and his wife; Colonel Robert Thompson, U.S. Navy and Mr and Mrs Stephen H.P.Pell. Edwina stars as the owner of a pearl necklace which various crooks attempt to steal. The film was shot in the gardens at Pickfair, the home of Douglas Fairbanks and Mary Pickford, where Lord and Lady Louis Mountbatten and their party stayed whilst in Hollywood. It is available to view on YouTube: https://www.youtube.com/watch?v=xBXq_CmNaRI. The images come from a black and white photograph album of Lord and Lady Louis Mountbatten’s honeymoon tours of Spain, Germany and the USA, 4 August 1922 – 9 December 1922. [MB2/L1]. Also from their stay in Hollywood, there are photographs taken at Cecile B.De Mille’s film studio. 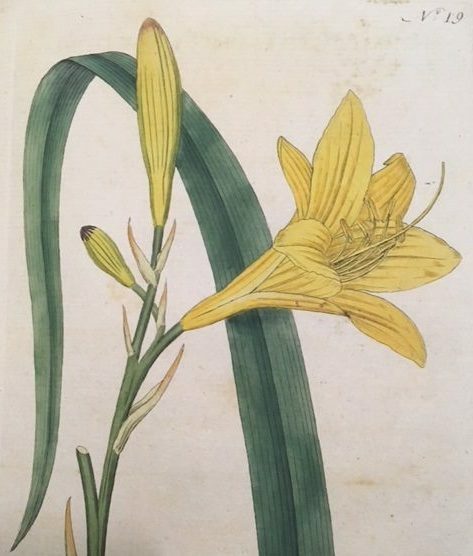 The arrival of spring and the emergence of spring flowers (despite the weather), presents an excellent opportunity to highlight the botanical and garden-related books in Special Collections. 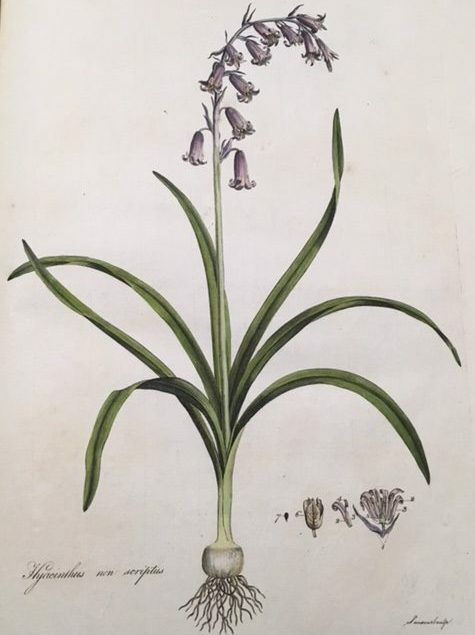 There is a wealth of information on plants, natural and cultivated, and, whether you want to know the healing properties of a particular plant, which wild flowers are native to Hampshire, or how to design your garden, the answer can generally be found in Special Collections. The Salisbury Collection contains many 19th-century regional floras, originally collected by Sir Edward Salisbury, a former Director of the Royal Botanical Gardens, Kew. This material is supplemented by botanical books owned by Walter Frank Perkins, who is better known for his agricultural collection. 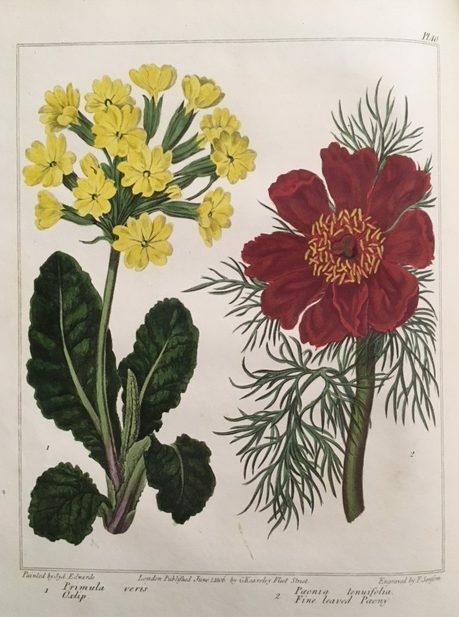 Lists of local flora, past and present, can be found in the Cope Collection, and in the Rare Books Collection there are examples of 17th and 18th century herbals. 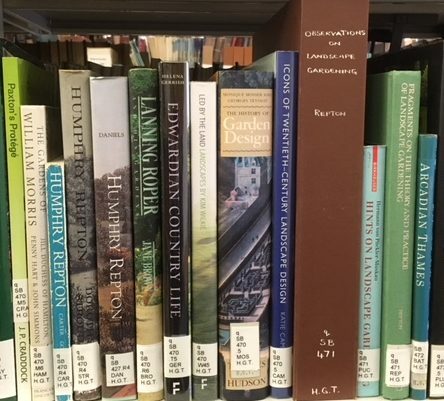 Books on the practicalities of gardening and garden design feature in the Perkins Agricultural Library, the Hampshire Gardens Trust Library and amongst the books presented by the Southampton and District Gardeners’ Society. The range of publications reveals the changing interest in plants and their uses. Herbals arose from the need to identify plants for medicinal and culinary purposes, medieval herbals being derived from those of ancient Greece. By the 16th century, herbals were based on studies of living plants, leading to more accurate descriptions and illustrations. 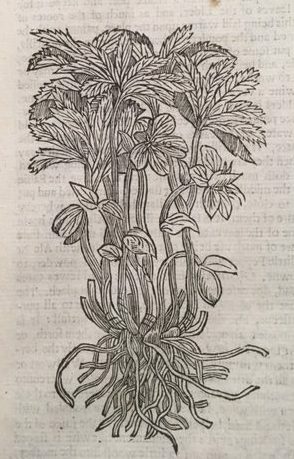 John Parkinson’s Theatrum Botanicum (1640) described over 3,800 plants and was used by apothecaries well into the next century. The 18th century passion for ordering the natural world brought a greater emphasis on recording plants, with local floras listing plants of a particular area and thus contributing to the wider botanical record. Whilst most floras were not illustrated, in his Flora Londinensis, the botanist William Curtis set out to produce a lavish record of the wild flowers growing within a ten-mile radius of London. Each of the six fasciculi published between 1775 and 1798 had seventy-two hand-coloured plates, but despite the quality of the work, the publication proved a financial failure, with public interest in the native flora giving way to a passion for newly imported exotic plants, an essential feature of the fashionable garden. Curtis’s attempt to appeal to this new market was The Botanical Magazine. This first appeared in 1787 and was an immediate success, having over 3,000 subscribers, in contrast to the 300 who subscribed to Flora Londinensis. Much of the success was due to the beauty and the scientific accuracy of the illustrations, the artists working from specimens of plants in Curtis’s own botanical garden. Other books intended for the same market were the Botanists’ Repository (1797) and New Flora Britannica (1812). As well as descriptions and illustrations of individual plants, there are books of botanical dialogue – a form of botanical instruction, usually between adult and child, and examples of calendars of floras which record dates of ‘leafing and flowering’ of plants, as seen in the observations extracted from the writings of Gilbert White and published as A Naturalists’ Calendar (1795). On a practical level there are gardening calendars which take the familiar form of listing tasks to be undertaken each month. Generally intended for larger establishments, activities are divided into the areas of the Kitchen Garden, Fruit Garden, Flower Garden, Nursery and Hot House. Tasks for April include making hot beds for melons and cucumbers, removing pests from fruit trees by means of a ‘garden water engine’, screening hyacinths and tulips from the rain and forcing vines and peaches. 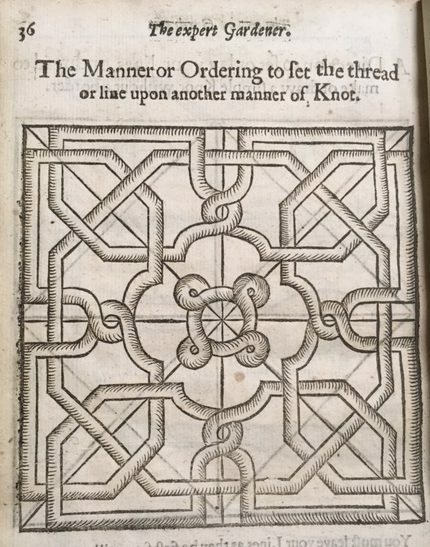 With the practicalities of cultivation covered, inspiration for creative garden design can be found in the some of the earlier gardening books and particularly in the books of the Hampshire Gardens Trust Library. This includes histories of garden design by period, country and genre, and has many beautifully illustrated books of the work of famous landscape designers. 7 April 2018 marks World Health Day promoting the concept of “Health for all”. The World Health Organisation has found that countries that invest in healthcare make a “sound investment in their human capital”. Outbreaks of cholera in the UK from 1831 into the 1860s were to test the ability of the country to deal with a major health threat and led to the development of public health initiatives and the creation of Boards of Health in 1848 to tackle the disease. Asiatic cholera had spread to Europe from India, eventually making its way to Britain. Despite attempts to quarantine incoming ships into British ports, the first reported case was that of keelman William Sproat in Sunderland in October 1831. From there the disease spread northward into Scotland and southward toward London: over 14,000 people were to die in London alone. One of the reasons for the progression of the disease was that the nature of cholera was not fully understood at the time. A common theory was that it was a air-borne disease carried in poisonous vapours, rather than a water-borne disease transmitted by contaminated water sources. 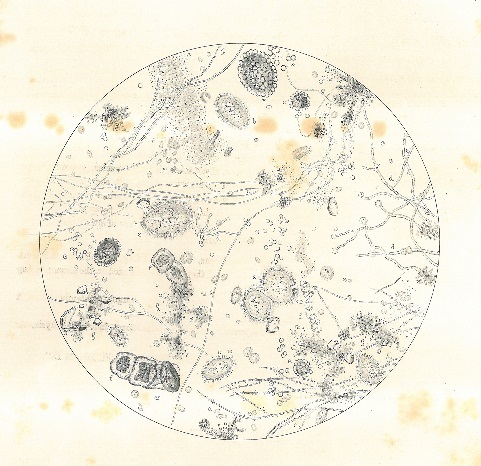 The rapid developments in population in urban environments had not been matched by developments in sanitation and, where sewage came into contact with drinking water, the disease spread with ease. 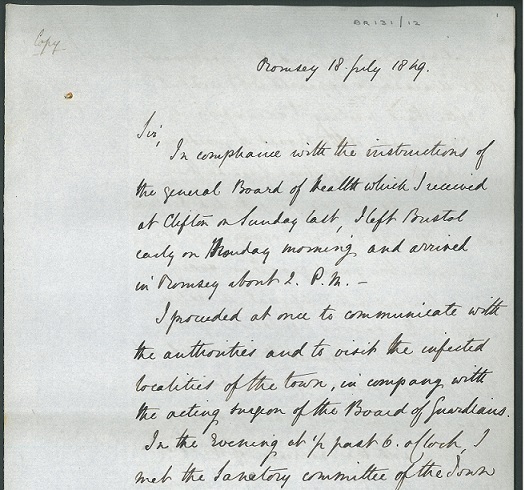 By the 1830s, with the first outbreak of cholera, links were made between the spread of disease and conditions in the towns and cities and Special Collections holds a number of reports sent to the first Duke of Wellington on the subject. These publications form part of the Wellington Pamphlet collection. While the Cholera Morbus Prevention Act of February 1832 gave certain powers to local boards of health, and the 1848 Public Health Act empowered a central authority to set up local boards, whose duty was to see that new homes had proper drainage and that local water supplies were dependable, neither were to have the impact that had been intended. It was the poor who suffered the most. 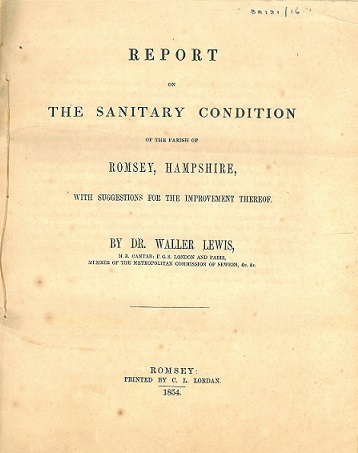 In his Report to the General Board of Health, undertaken following an outbreak of cholera in 1849, which killed 240 people in Southampton, William Ranger described the insanitary conditions in which people lived in the poorer parts of the town. Of his many recommendations, the most important was that a supply of pure water should be laid on to every house. Improvements in provision of sanitation in the urban centres was to take some time. By 1853 over 160 towns and cities had Boards of Health, some of which had introduced important improvements, while in other towns there was resistance to such costly undertakings. However, it was only after the 1865-6 cholera outbreak, which resulted in 20,000 deaths, that the government set up another enquiry into public health, leading to further reforms. A new government department was set up in 1871 to oversee public health and in 1872 sanitary authorities were established. 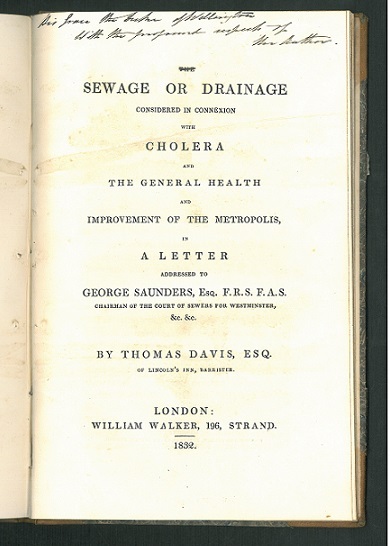 Nearly 170 years on from the 1849 cholera epidemic that saw loss of life in both Southampton and Romsey public health and healthcare provision remain an issue of importance. Further information on World Health Day and its themes can be found at the WHO site.